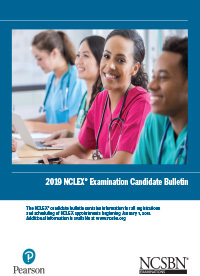 Publication topics include: NCLEX Test Plans, Candidate Bulletins, nursing comparison studies, English proficiency tests, standard setting reports, readability studies, reliability & validity studies and other examination research. Highlights for before, during and after the NCLEX. 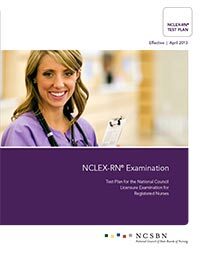 Includes information on The Eight Steps of the NCLEX, acceptable identification and rules for scheduling/rescheduling your appointment. 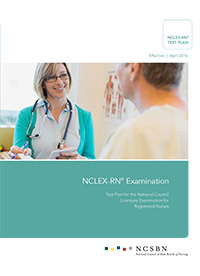 The educator version of the 2016 NCLEX-RN Test Plan includes an in-depth overview of the content categories along with details about the administration of the exam. 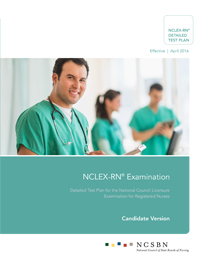 The candidate version of the NCLEX-RN examination test plan includes an in-depth overview of the content categories along with details about the administration of the exam. 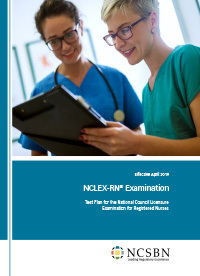 This brochure is for candidates who have just completed the NCLEX. Here, candidates can find information on how their results are processed, what happens if they don’t pass the exam, the NCLEX Quick Results Service, and who they can contact if they have a problem with the NCLEX or its administration. 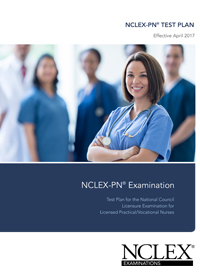 The basic NCLEX-RN test plan includes an overview of the content categories along with details about the administration of the exam. 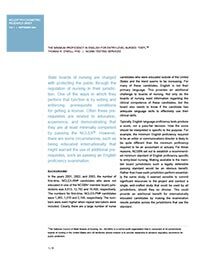 This study identifies the knowledge needed by newly licensed RNs. 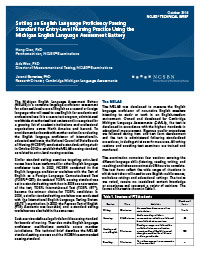 The results of this study (i.e., the important knowledge statements) will be used to inform item development. 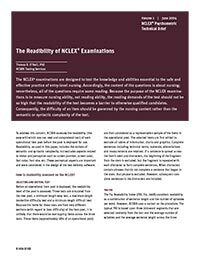 The NCLEX examination test plan provides a concise summary of the content and scope of the examination. The test plan also serves as a guide for both examination development and candidate preparation. 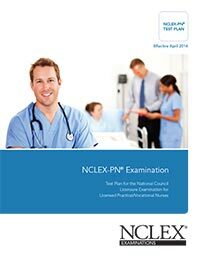 The 2014 NCLEX-PN Test Plan is effective April 1, 2014. 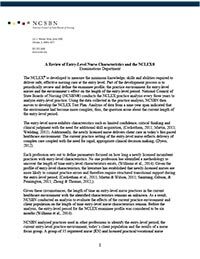 Analysis of data from a nine-year span indicated that nursing practice environment had become more complex; thus, the question arose about the current length of the entry-level nurse period. (MELAB) passing standard, as related to entry-level nursing practice. 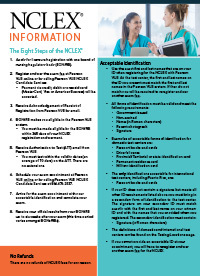 The 2013 NCLEX-RN Test Plan is effective April 1, 2013. 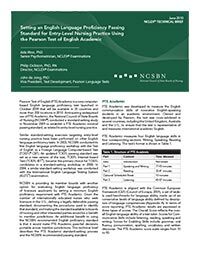 The National Council of State Boards of Nursing (NCSBN®) conducted a standard-setting study in November 2009 to establish a Pearson Test of English (PTE) Academic minimal passing standard, as related to entry-level nursing practice. 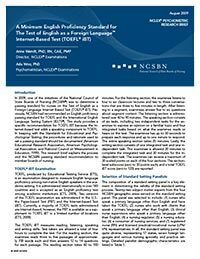 A research brief highlighting the National Council of State Boards of Nursing (NCSBN®) 2009’s initiative to determine a passing standard for nurses on the Test of English as a Foreign Language Internet Based Test (TOEFL® iBT). 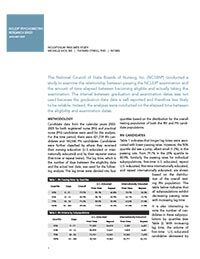 NCSBN conducted a study to examine the relationship between passing the NCLEX examination and the amount of time elapsed between becoming eligible and actually taking the examination. 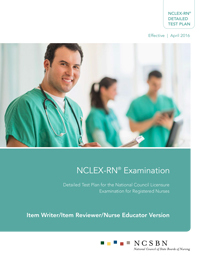 NCSBN assesses the readability (the ease with which one can read and comprehend text) of each operational NCLEX pool of items before the pool is deployed for use. State boards of nursing are charged with protecting the public through the regulation of nursing in their jurisdiction. One of the ways in which they perform that function is by setting and enforcing prerequisite conditions for getting a license. 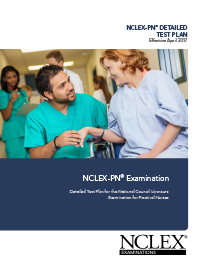 This NCSBN led study was designed to investigate the reasons why candidates who complete their nursing education, submit a registration for the NCLEX examination yet never take an NCLEX-RN® or NCLEX-PN® examination. 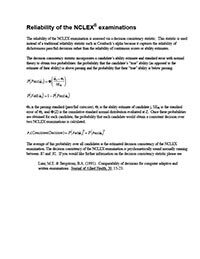 The reliability of the NCLEX examination is assessed via a decision consistency statistic. This statistic is used instead of a traditional reliability statistic because it captures the reliability of dichotomous pass/fail decisions rather than the reliability of continuous scores or ability estimates.